The Louisiana Trustee Implementation Group approved and released its Final Strategic Restoration Plan and Environmental Assessment #3: Restoration of Wetlands, Coastal and Nearshore Habitats in the Barataria Basin, Louisiana (PDF 167 pg). The Final Strategic Restoration Plan is consistent with the Trustee Council’s Programmatic Restoration Plan, and considers a comprehensive suite of restoration techniques and approaches to address ecosystem-level injuries in the Barataria Basin and the Gulf of Mexico caused by the Deepwater Horizon oil spill. The Mid-Barataria Sediment Diversion project. The Large-Scale Marsh Creation: Component E project in northern Barataria Basin. The Spanish Pass Increment of the Barataria Basin Ridge and Marsh Creation project, confirming our 2017 decision to move it forward. Although we are selecting to advance these projects forward in the restoration planning process, we are not making a decision to fund these projects for construction at this time. We are only considering the projects for future Phase II restoration plans and regulatory evaluations. 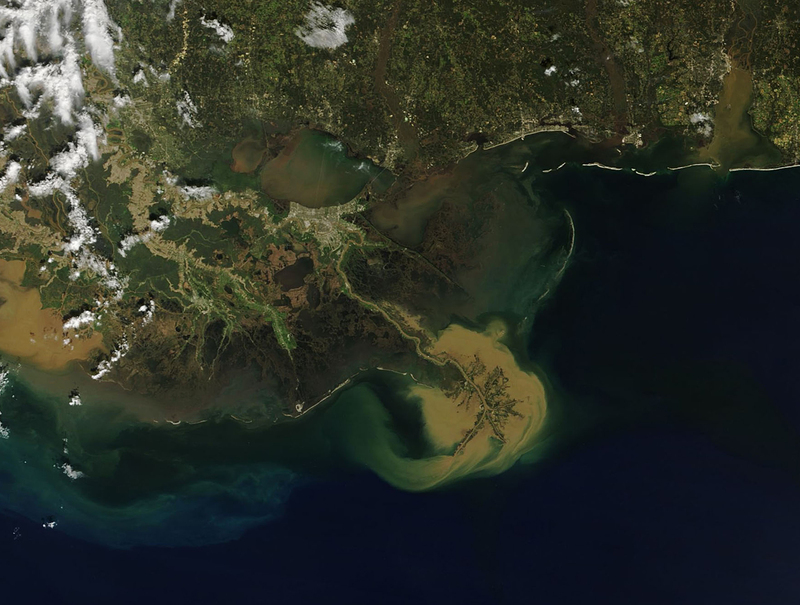 Wetlands in the Barataria Basin and along the Louisiana coast were among the most heavily oiled parts of the Gulf Coast shoreline in the aftermath of the 2010 spill. The basin’s wetlands provide foundational habitat and support resources for the entire basin ecosystem, and support the Gulf of Mexico’s resources as well. The extensive oiling of coast and wetlands in the basin directly impacted many species that rely on its shorelines, and that oiling and associated response activities, significantly exacerbated the ongoing loss of these wetlands. The combination of techniques and approaches to build and maintain habitat across large areas of the Barataria Basin will address injuries to the Gulf ecosystems that depend on its productive wetlands.